We built beautiful, user friendly applications for clients all around the world. J A IT Solution is a leading software development, products marketing, electronics equipment marketing, consultancy and training company offering technology driven business solutions that meet the strategic objectives of our clients. Our center of excellence is that we create solutions around specific needs of industries. J A IT Solution delivers unlimited business value to customer through a combination of process excellence, quality frameworks and service delivery innovation. J A IT Solution has a high degree of competence and expertise with Microsoft/Open Source technologies and offers confidence to clients that solutions are standards-based, reliable and will accelerate the business processes. OAIL boasts a fully qualified experienced team of A+, MCSE, CISCO, LINUX, MCAD (Microsoft Certified Application Developers), MCSA (Microsoft Certified System Administrator), MCSD (Microsoft Certified Solutions Developers), MCDBA (Microsoft Certified Database Administrator), Zend certified, CF Certified, Auto CAD certified, 3D Max certified, IIBA, FCA, FCMA, ACA professionals. Our in-house specialists utilize a standard set of tools and procedures to ensure the delivery of innovative business solutions in a consistent, rigorous and effective manner. We use our experience and expertise to help our clients for their betterment and making them assured that every venture is a success. The main objective of the company is to undertake and carry on the business of providing all kinds of Information technology based enable services and software solutions in Bangladesh and Abroad. J A IT Solution employs experience professionals of both local and foreign origin to develop and marketing software product, consultancy and training. J A IT has dedicated focus groups to provide Business Intelligence solutions. 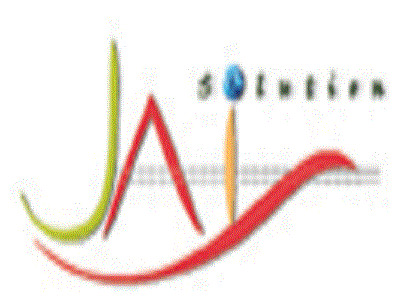 J A IT Solution is an international quality company for software design, development, consultancy, maintenance and sales. Mr. Hossain is the Group CEO of J A IT Solution . He founded J A IT Solution in 2012 after working in the IT/ Telecom industry for many years. As the founding CEO, Hassan, along with a dedicated team of colleagues, has helped build J A IT Solution into a major solution provider in the VoIP industry. Under his leadership, the group has expanded its footprints globally. He played a key role in the development of good customer relationships, ensuring flexibility in response to an increasingly demanding marketplace. An engineering graduate, Mr. Hassan earned an MBA from IBA, University of Dhaka. He is recognized as an expert in the IP communications space and has been invited as a speaker at several international seminars and workshops on Telecommunications. Because of his clear values, aspirations and vision, today REVE Group has acquired an important place in the VoIP industry.